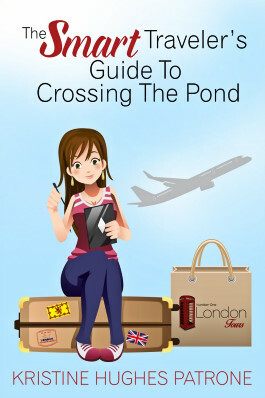 If one is fortunate enough to take a little jaunt out to Greenwich when visiting London, it is assumed one will visit the National Maritime Museum and, of course, the Royal Observatory. There is, however, another museum located between these two must-see destinations definitely worth a visit. 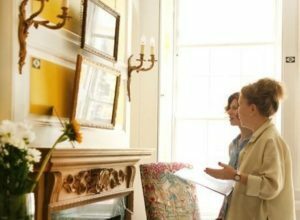 Located in two grade II listed houses built in 1721, the Fan Museum was the first museum dedicated solely to fans. It opened in 1991 and is now home to over 4000 fans and extended fan leaves. 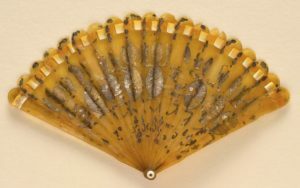 The oldest fan in the permanent collection is from the tenth century and the majority of the fans are from the seventeenth and eighteenth centuries. It does have an extensive nineteenth century collection as well. My Georgian-era-loving heart leaps to hear it! For reasons of conservation, as is done in many museums, the entire permanent collection is not on display all the time. The permanent display is changed out three times a year. So if one is interested in viewing a specific fan in the permanent collection, it is recommended one phone or e mail first to make certain it will be on display during one’s visit. What could be so specific about a fan? How about a fan with an ear trumpet built into the design? Or another with a repair kit built into the design? I, for one, would not want to miss either of those. 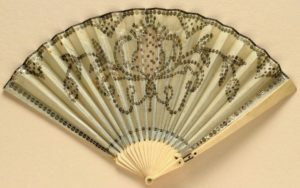 The museum does conservation and restoration work for other museums and for individuals who might want those antique fans they found in the attic restored correctly. The museum houses a reference library and also conducts fan-making classes. What fun! The Green Room is primarily an educational display with information on the history of the fan, how fans were and are made, materials used in fans, and the various forms a fan might take. 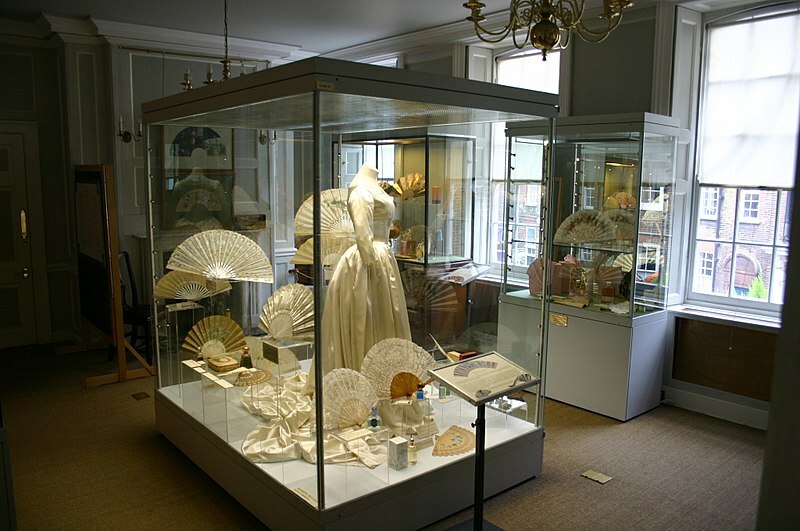 The Reception Room contains unmounted and extended fan leaves from the seventeenth and eighteenth centuries. 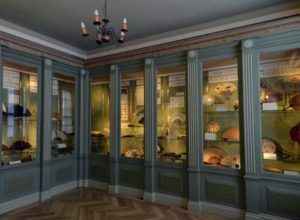 Temporary exhibits are usually arranged around a theme or sometimes feature the collections of private citizens on loan to the museum for a period of time. Check the website for a list of future temporary exhibits and there is also a list of past exhibits, but beware. Reading some of the ones on the list made me weep with envy I was not able to see them. 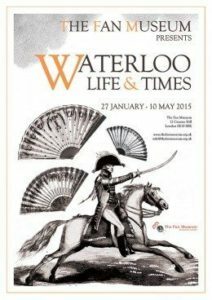 Can you imagine any of us here at Number One London missing an exhibit of fans based on the theme of Waterloo? SOB! Here are just a few of the fans in the museum’s collection! Bone fan with light blue leaf embroidered with cut steel sequins. European, c. 1800. In addition to the other amenities the museum has a lovely tea shop in the orangery and a delicate Japanese garden with a pond and stream. And for those of us who cannot resist there is a museum shop which promises to be quite injurious to one’s purse! This lovely museum is going on my list of things to see when I return to my beloved England. Perhaps you will add it to yours. 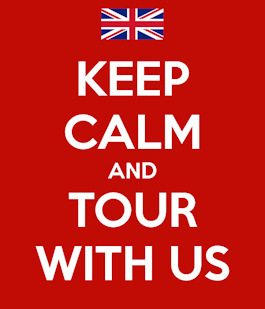 And if all else fails the website is definitely worth a visit! I love the website! Thank you for finding this and sharing. 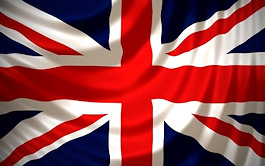 I’m a collector of hand fans, and this would be one of the places I’d visit (when I do make that dream trip to England)! Isn’t a wonderful website? And those publications in the gift shop are entirely too tempting. Here’s to both of us being able to visit this museum one day!